Girls Rock Milwaukee, Quasimondo Physical Theatre and Signature Dance Company are first time recipients of funding from the City of Milwaukee Arts Board. They are among 35 nonprofit arts organizations awarded funding recently by the City of Milwaukee Arts Board. At its May meeting the MAB considered the recommendations of a seven-member citizen review panel and approved $227,500 in grants ranging from $3,500 to $7,000 each. MAB grants require a dollar-for-dollar cash match from other sources, and the combined budgets of the 35 selected projects this year is more than $2.6 million. There were a total of 45 eligible requests from city-based arts organizations to fund art, music, dance, arts education and other projects. This year marks the 28th annual grant awards. Since 1991, the Milwaukee Arts Board has awarded more than $5.2 million to 130 different organizations. Grantees will be honored by Mayor Tom Barrett, Ald. Murphy and others at a 4:30 p.m. reception June 11 at the Marcus Center for the Performing Arts followed by an awards program and celebration at 5 p.m. The event is free and open to the public. Please RSVP here. 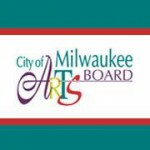 The Milwaukee Arts Board grant program is funded by the City of Milwaukee with additional support from the Wisconsin Arts Board with funds from the State of Wisconsin and the National Endowment for the Arts. The MAB also awards matching funds for New Works of Public Art and Conservation of Public Art. More information is at city.milwaukee.gov/MAB. $7,000 Woodland Pattern Unwriting Borders: Latinx Voices in The U.S.
Conservation applications are due no later than Jan. 31, 2017. New Work applications are due Feb. 28, 2017. Up to $15,000 is available for Public Art New Work in 2017. In this round, $10,000 will be available to conserve public art in the city.